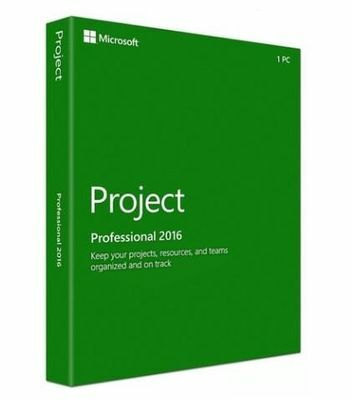 With Microsoft Project Professional 2016, you can work from your desktop or mobile device via the installed program or access all your work from a server. Youll be able to intuitively organize and link tasks while creating timelines and keeping on top of your prioritized efforts. Manage projects from anywhere with web- and cloud-based tools and sync up to co-workers with ease. My Choice Software offers guaranteed installation of Microsoft Project Professional 2016 or your money back.